Switzerland has provided us with a lot of luxuries over the years from luxurious chocolates to secret bank accounts, but one thing that we can all enjoy from that area of the world is a beautiful Swiss Timepiece for our wrist. For centuries, manufacturers like Rolex, Breguet, and Vacheron Constantin have been creating elegant watches with expert designs and beautiful craftsmanship with the “Swiss Made” badge of honor on the face. As a successful business man or woman it today’s world, a Swiss watch is the perfect complement to your professional attire. Here are ten of the best Swiss watches available for both men and woman to purchase. The first Swiss watch on our list is an elegant timepiece that showcases a stainless steel case with an anti-reflective sapphire window to encase the dials. The analog display is positioned on a white dial, and the analog features are a soft gold color that brings a level of contrast to the features of the watch. The numbers on the face are designed with military time telling as well as traditional. 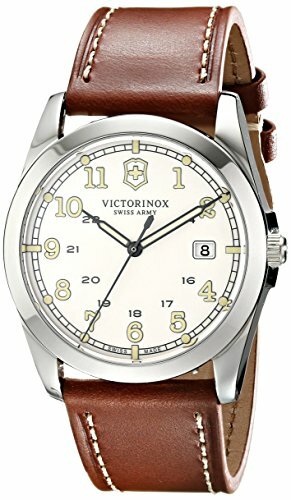 All of the numbers are shown on this watch, except for the one at the 12 o’clock position; here the Victorinex logo is shown instead. At the three o’clock position, there is a small window on the dial to let you know the current date. The band is crafted from brown leather calfskin, which is soft and comfortable against your wrist. In addition, this watch is also water resistant; at least up to depths of 330 feet. The Specialty Grand Regatta is a Swiss watch that is designed not only to look great, as the name implies, it can also be used in underwater situations as long as you are not at a depth of more than 660 feet. The watch case and the band are both made from a stainless steel material that is polished. The face of the watch is round with a coin edged bezel that looks amazing. The silver display is positioned on a deep sea blue face that provides the perfect contrast for the hands to easily be seen, regardless of the lighting in the room. Only the three, six, nine, and 12 are featured on the face, but dot indicators can also be seen. There is also a display for the second hand as well as the date, which is located at the four o’clock position. Additionally, the face is covered with a protective layer of Krystema Crystal to add a layer of scratch resistance to the timepiece. Sticking with men’s watches for now, the next Swiss timepiece on our list is one that is designed with professional business men in mind. Starting with the case, you will notice the beautifully shined stainless steel bezel is fixed for a luxurious look. It also features a silver guilloche dial and silver toned hands and Roman numeral hour markers that look spectacular. This watch also displays the current date at the three o’clock position, which is convenient for any professional. In addition, there are also second hand notches on the dial for your convenience. The face is covered with an anti-reflective sapphire, which helps keep the dial visible in any type of lighting. The band is made from black leather calfskin that will hold up to years of wear and tear. 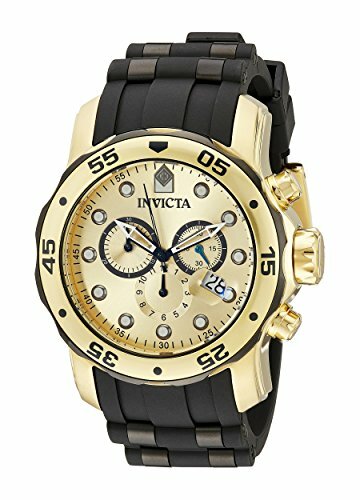 If you are a diver or you plan to get this watch wet, it can only be in depths of up to 99 feet. 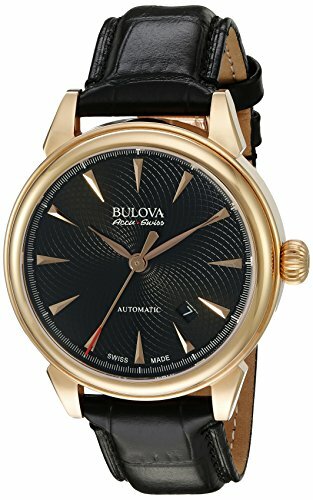 The gold and black color scheme of this classic looking timepiece offers a highly stylish aesthetic that will look great on your wrist. The dial is black, and the hour indicators are white inlayed dots that add an amazing contrast to the face. The bezel features gold minute indicators, and there are also small notches to indicate each second as well. The center of the dial features three smaller dials for your convenience as well as a date display that can be seen at the four o’clock position. Each of the smaller dials features a different time keeping function that you may find useful. In addition, this watch is water resistant to depths of up to 330 feet. This watch is a stainless steel classic design that features a case and a band that are shined to perfection. The face of the dial is black, which adds the perfect contrast to the silver hand and hour markers that are also seen on the dial. Second markers are placed around the inner edge of the bezel, and the second hand has a red tip to make it easier to find quickly. 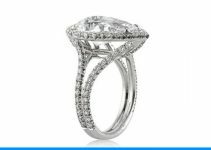 All of the face is covered with a scratch resistant sapphire crystal, so it is protected from daily wear and tear. The watch also displays three sub-dials to make keeping track of the seconds, minutes, and hours with even more accuracy. If you happen to get the watch wet, it will be safe for depths of up to 165 feet. This next timepiece is designed for women, so it is a bit smaller than the men’s watches we were considering. This beautiful Swiss watch has a stainless steel case and band that is designed with a rose gold and silver finish. The bevel is rose gold with a setting of diamonds near the three o’clock position to enhance the style of the watch. 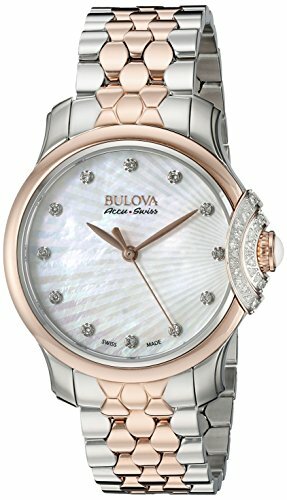 The dial is mother of pearl, and the hour markers are inlayed diamonds as well. In total there are 42 diamonds featured on this elegant timepiece, each of which are individually hand set. In addition, the watch can resist water up to 99 feet. 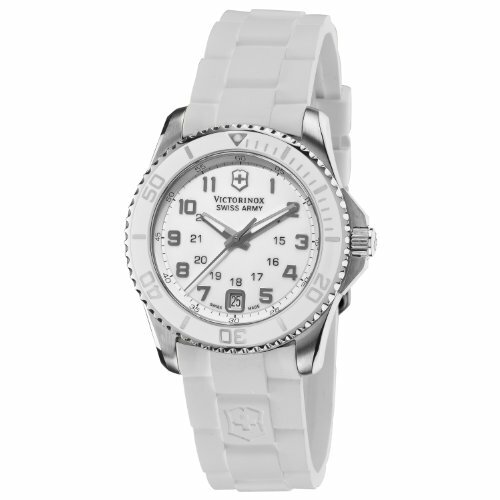 White is a color that represents a level of purity and elegance, and Victorinox has made the perfect watch for women everywhere to compliment their style. The case and the hands are silver on this timepiece, but everything else is white. The dial is white enamel and the band is white leather. In fact, even the bezel is white ceramic to enhance the style. 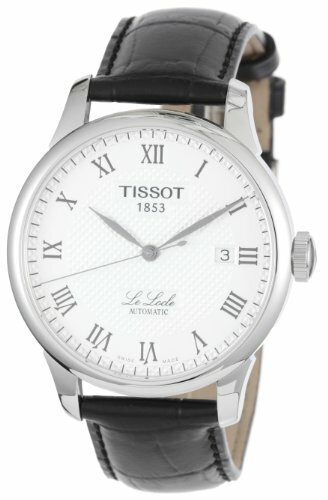 The six o’clock position has a date display for your convenience, and there are three sub-dials on the face. The one on the left is a 30 minute dial, the right most is a 1/10th of a second dial, and the bottom one is a 60 second dial. 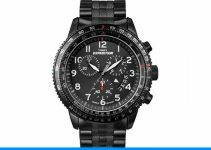 This timepiece is also designed to be water resistant for up to 330 feet. 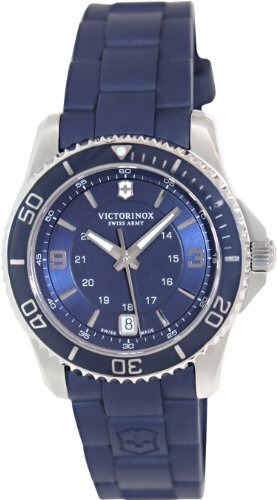 The next watch that we will be looking at is another Victorinox timepiece that is actually blue, which is a unique color for a watch. 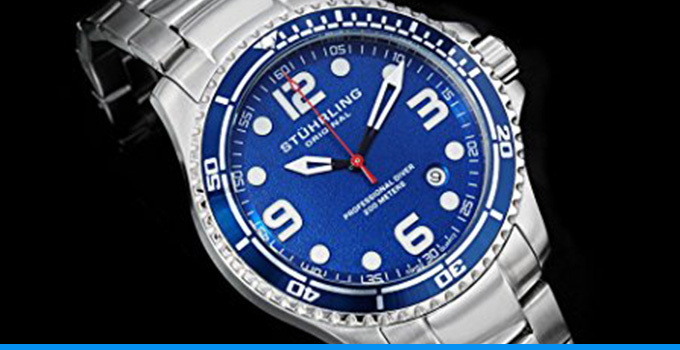 This band is a deep sea blue, and the dial is also designed in a similar coloration. The case is silver, which is a great contrast for the dark color of the watch, and the hands and the hour markers being the same silver color makes it easy to read the time in any type of lighting. The seconds are displayed on the bezel and the date can be found at the six o’clock position. 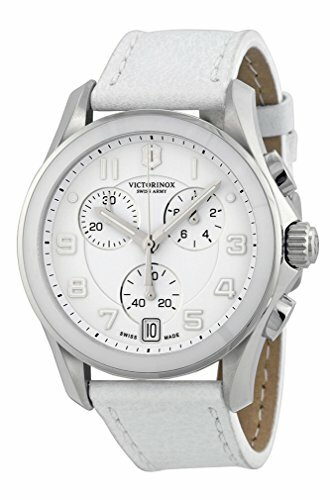 White watches on women are beautiful, and the Victorinox Swiss Army Watch is one that looks simply amazing. The band is white silicone, the dial is white, and so is the bezel. The case of the timepiece is stainless steel, and the hour markers and the hands are painted silver to match. 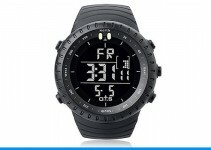 This watch features an hour display as well as a second display at the edge of the bezel, and at the six o’clock position, there is a date indicator. 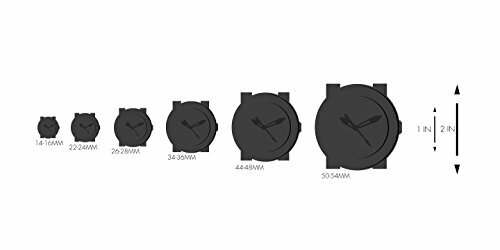 This watch also has a display for military time, and the entire face is covered with an anti-reflective sapphire crystal that allows you to see the time in any light. The watch is also water resistant to depths of up to 330 feet. Rectangle-shaped watches look elegant on any professional woman, so our final Swiss watch for your consideration is this Burberry classic. It features a stainless steel case that has been brushed to perfection and the hour markers are also silver. 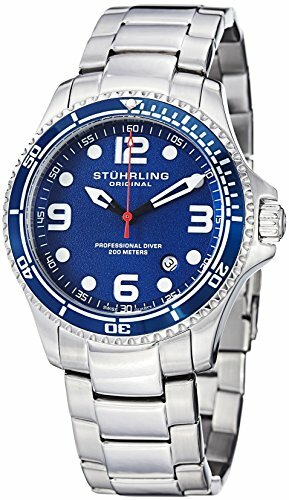 The dial is silver with an engraved check pattern that shines in the light, and the entire dial is covered with a sapphire crystal to make it easy to tell what time it is. The Burberry trademark is the plaid pattern seen on the band, which is actually only a material attached to a calfskin band. The watch is also water resistant in depths of up to 99 feet. Swiss watches are great accessories to add to your wardrobe, especially if you dress to impress. Having a classic looking timepiece is priceless when you are looking for a professional style.